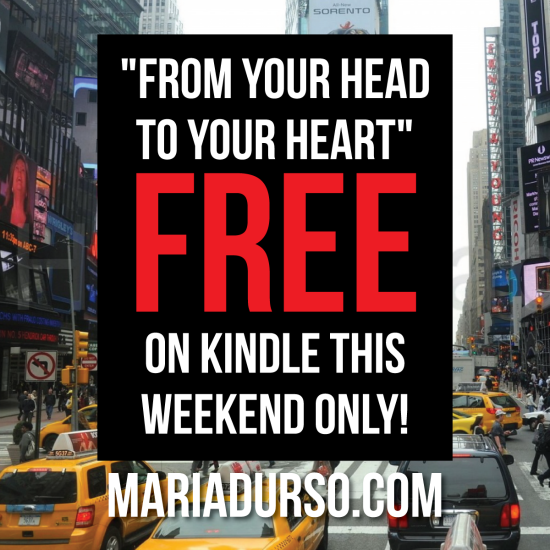 I wanted to let you know that my book, From Your Head to Your Heart, is free this weekend on Kindle! Get your copy here. You can also purchase the paperback copy on sale for $9.89. Thank You Mama Durso !!! LORD BLESS YOU AND GIVE YOU FAVOR LIKE YOU HAVE NEVERSEEN BEFORE.